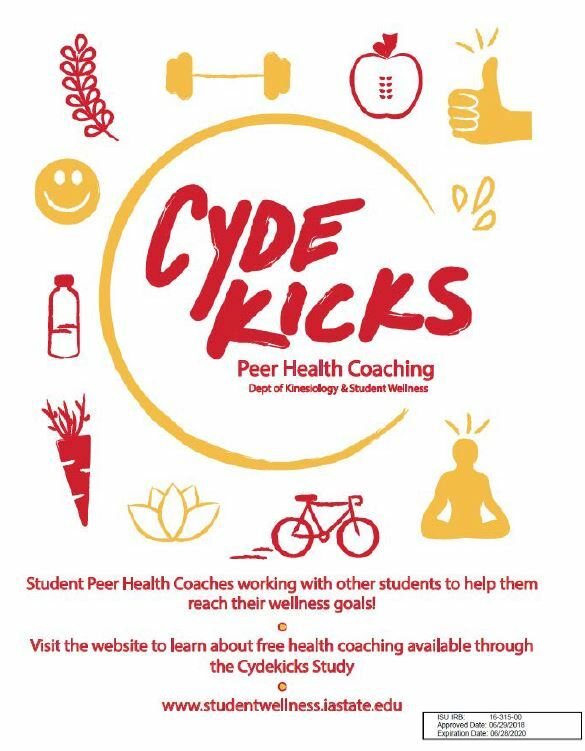 The Wellness Works health coach team has teamed up with Student Wellness and ISU ExerCYse outreach group to provide health coaching services to ISU students. Health coaching involves in depth conversations to help students work toward a behavior change goal, such as increasing physical activity levels, during important transition periods from high school to college. Students interested in this opportunity would need to enroll in formalized research so that the results can be tracked and used to improve the program. Contact Katy DeShaw for questions about health coaching (or about the study) at kjsouth@iastate.edu.